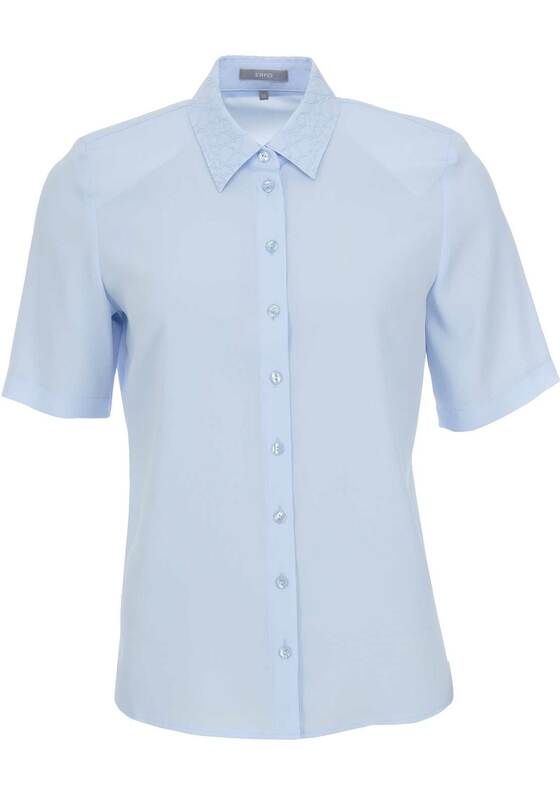 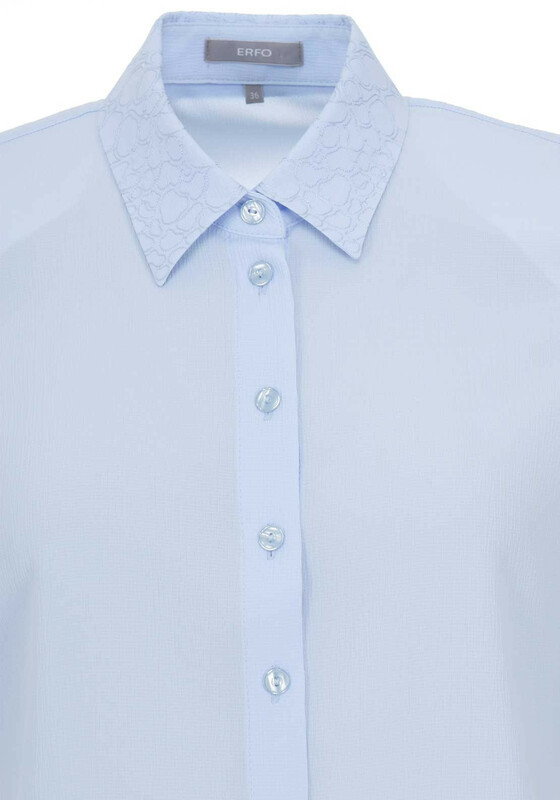 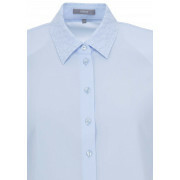 An embroidered pattern on the turn down collar adds a feminine element to this pale blue blouse from ERFO. 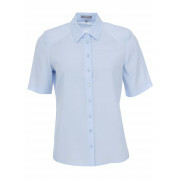 Wear with a skirt or trousers for work or team with chino trousers and a colourful cardigan at the weekend. 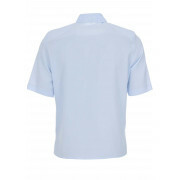 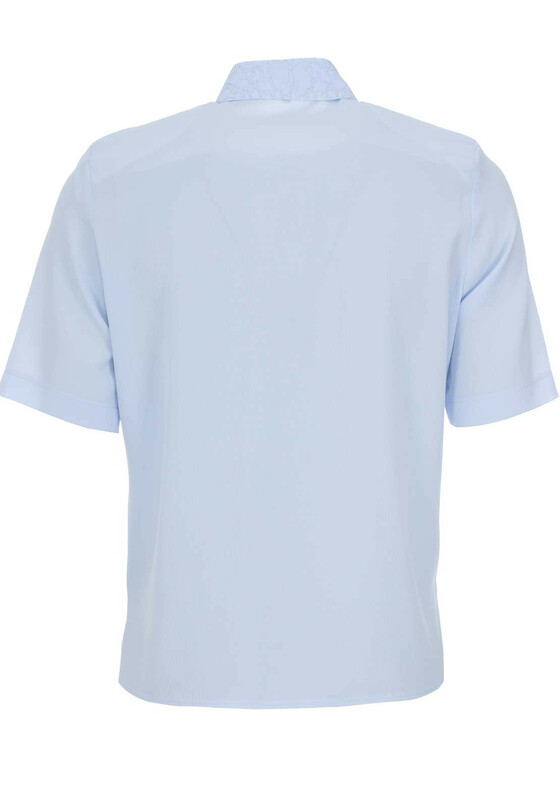 Crafted from lightweight textured fabric and designed with a figure skimming shape and short sleeves.